Getting into your Sprinter shouldn’t feel like climbing Mount Everest. 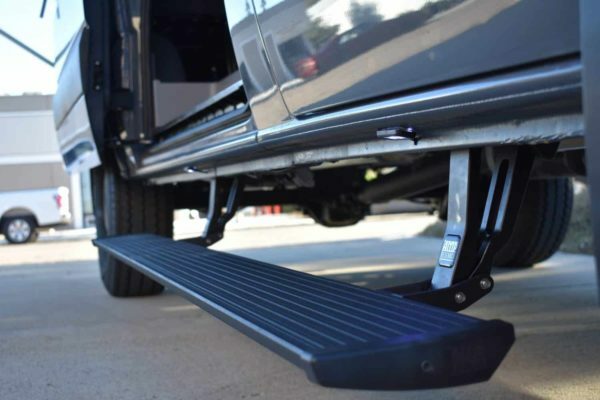 That’s why AMP Research invented Powerstep, the automatic, electric-powered running board that instantly extends when you open your door, and then hides itself safely out of sight when the doors close for improved ground clearance, aerodynamics and appearance. Its handsome design, all-weather performance and legendary reliability set the industry standard. Invented, engineered and built in America, AMP Research PowerStep have been tested and proven in long-term, real-world, driving conditions performing flawlessly in snow, ice, dust, mud and dirt. 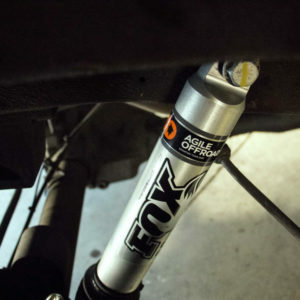 The lightweight, yet rock-solid running board and rugged die-cast linkage components are crafted in the USA of aircraft-quality aluminum, black-anodized and PTFE coated for maximum corrosion protection. Precision, stainless-steel hinge points and bearings ensure trouble-free action. Heavy-duty electric motor is designed and tested to provide reliable, maintenance-free operation for decades. Automatic, electric-powered running boards instantly extend when you open your door, and then hides itself safely out of sight when the doors close; Includes low-profile, integrated LED light system. Fit Notes: Driver & Passenger paired step configuration is not compatible with vehicles equipped with Rear A/C due to driver-side step interference. Owners of Rear A/C equipped vehicles, please contact us directly for custom Amp Powerstep options.